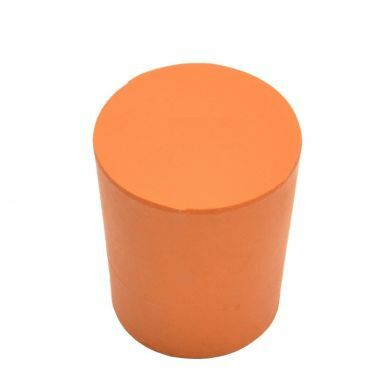 This solid rubber bung (17mm) is designed to seal lab glassware. The bung is marked No. 17 on the base. Resistant to dilute acid, alkalies and ammonia. Temperature range between -30C to 70C.